I was at the 2 concerts this cd was taken from. January 5 and 6, 2000 at the historic Ryman Auditorium in Nashville. I saw both 2 hour shows, so a 63 minute CD from those excellent shows is a good start, but I cant help but wish for more. That aside, NEVER SAY DIE LIVE is a very good concert cd. 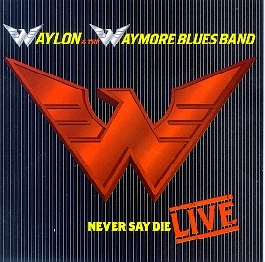 No one, probably not even Waylon will ever top his WAYLON LIVE lp/cd, but this is still a great cd. Waylon, Jessi, and The Waymore Blues band (formerly most of the original Waylors) are in top form, and the guests sound great and are obviously honored to be onstage with The Man. 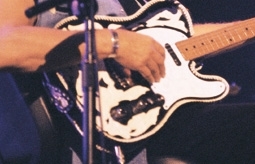 Those guests are Montgomery/ Gentry, John Anderson, and Travis Tritt. All duet on some Waylon Classics. 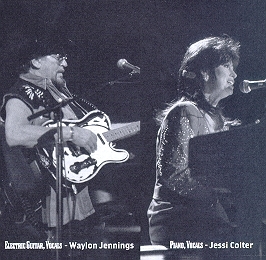 Jessi does one solo and one with Waylon. Too bad most of Waylon's talk was edited, especially his banter with Jessi. There's some great new songs and a few great covers, though I'm disappointed that "The weight" didnt make it. The track listed as "Good hearted woman" is actually a "Good hearted woman/don't let your babies be cowboys" medly, and "Go down rockin'" is called "Goin' down rockin'", but no biggie. 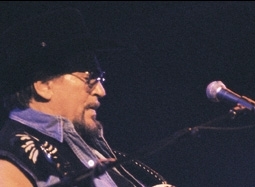 The music is what it's about, and if you haven't seen Waylon in concert for awhile you need this, and if you have seen him, you want it, don't you? The only thing that would have made it better is if it were the complete 2 hour show many of the Hossheads saw in January.